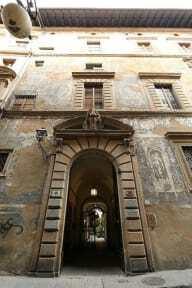 Right in the historical center to the inside of the palace 'Montalvo Ramirez' in the heart of Florence, Hotel Bavaria is situated in a strategic position in the heart of Florence, close to the Cathedral square (Duomo), Dante's House, Piazza della Signoria (Palazzo Vecchio and Uffizzi) and many other famous artistic and historical attractions of the city. 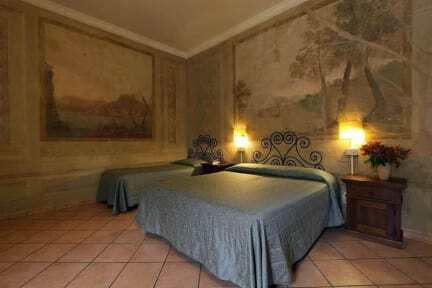 Hotel Bavaria is part of the historical Palazzo Ramirez (16th century) and preserves a friendly, quiet and comfortable atmosphere; rooms with view at Duomo and decorated with frescoes. Our clients can easily reach traditional restaurants, trattorie, pubs, stores and the post offices, within a 3-4 minute walk.